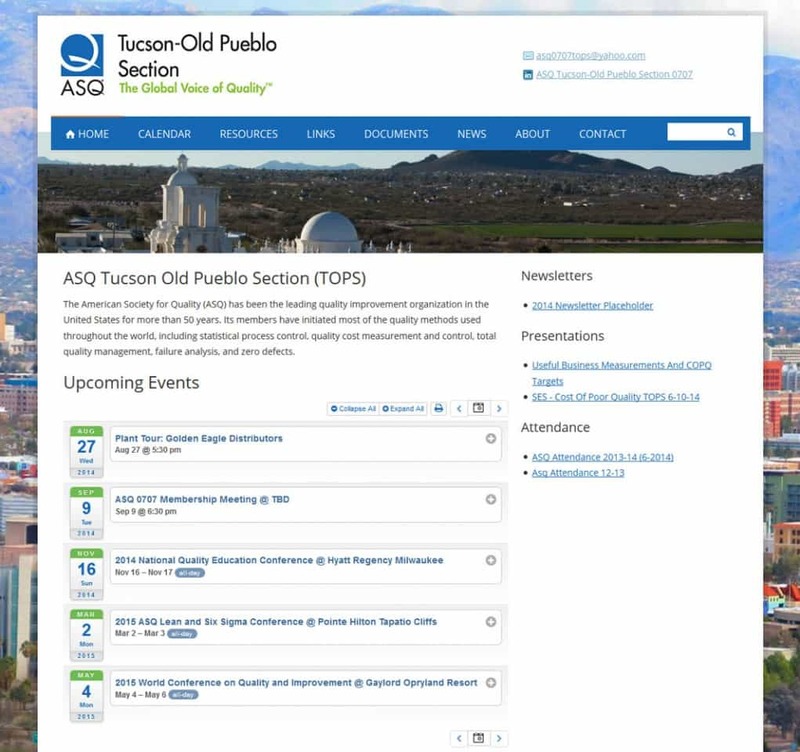 Frogtown migrated ASQ Tucson’s old Joomla website to WordPress and included new features such as Responsive Design, Flickr gallery, Calendar, File Management and more! The American Society for Quality (ASQ) has been the leading quality improvement organization in the United States for more than 50 years. Its members have initiated most of the quality methods used throughout the world, including statistical process control, quality cost measurement and control, total quality management, failure analysis, and zero defects.